Do you need extra cash? 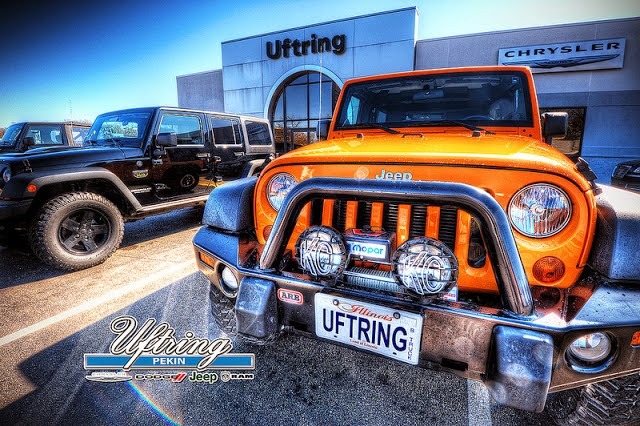 Here at Uftring Chrysler Dodge Jeep Ram in North Pekin, we are always looking to buy your car. No obligation appraisals, no appointment necessary and we have appraisers always on site. Turn your car right into cash at Uftring Pekin - you don't even have to be a customer! No matter the make or model, from low miles to high, we want to buy your car and we guarantee you’ll get a great deal. We will give you the best value you can get out of your pre-owned vehicle. We’ve built a fair and trustworthy reputation that ensures you’ll be getting the most money when you sell your car to us. Bring your car in for an honest, fair offer today. There are perks to selling your car to a dealership! You can avoid the expenses of trying to sell it on your own, you’ll be working with our expert appraisers and we’ll give you cash. It just makes sense to let Uftring Pekin purchase your car! We will buy any model of any vehicle; we don’t just buy Chryslers, Dodges, Jeeps or RAMs. The warm weather is approaching soon, now is the time to sell your car and use that extra cash on anything! Contact us today at 309-674-7272 or bring your car to our dealership store for a quote.